【145】 M. M. Khan, D. R. Lester, L. A. Plana, A. Rast, X. Jin, E. Painkras, and S. B. Furber. SpiNNaker: Mapping neural networks onto a massively-parallel chip multiprocessor. In 2008 IEEE International Joint Conference on Neural Networks (IEEE World Congress on Computational Intelligence), pages 2849-2856, June 2008. 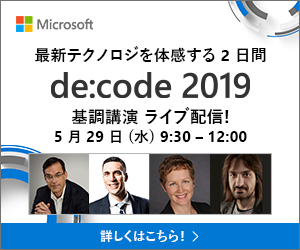 【147】 Paul A. Merolla, John V. Arthur, Rodrigo Alvarez-Icaza, Andrew S. Cassidy, June Sawada, Filipp Akopyan, Bryan L. Jackson, Nabil Imam, Chen Guo, Yutaka Nakamura, Bernard Brezzo, Ivan Vo, Steven K. Esser, Rathinakumar Appuswamy, Brian Taba, Arnon Amir, Myron D. Flickner, William P. Risk, Rajit Manohar, and Dharmendra S. Modha. A million spiking-neuron integrated circuit with a scalable communication network and interface. Science, 345(6197):668-673, 2014. 【235】 中国の清華HD、米マイクロンと買収に向け協議継続中=徐会長. http://jp.reuters.com/article/tsinghua-micron-chairman-idJPKCN0PX0JX20150723, July 2015. 【236】 Tim Culpan and Brian Womack. China's Tsinghua Buys Western Digital Stake for $3.8 Billion. https://www.bloomberg.com/news/articles/2015-09-30/china-s-tsinghua-buys-western-digital-stake-for-3-8-billion, September 2015. 【237】 Tim Culpan and Jonathan Browning. China's Tsinghua Buys Western Digital Stake for $3.8 Billion. https://www.bloomberg.com/news/articles/2015-12-11/tsinghua-unigroup-to-buy-1-7-billion-stake-in-siliconware, December 2015. 【238】 服部 毅. 中国最大のメモリメーカー誕生へ - 紫光集団がXMCのメモリ製造部門を統合. http://news.mynavi.jp/news/2016/07/29/213/, July 2016. 【239】 DARPA SyNAPSE Program. http://www.artificialbrains.com/darpa-synapse-program, 2008. 【240】 UPSIDE / Cortical Processor Study. http://rebootingcomputing.ieee.org/images/files/pdf/RCS4HammerstromThu515.pdf, Dan Hammerstrom. 【241】 Neuroscience Programs at IARPA. https://www.iarpa.gov/index.php/research-programs/neuroscience-programs-at-iarpa. 【242】 Human Brain Project. https://www.humanbrainproject.eu/en_GB/2016-overview. 【243】 AI Bridging Cloud Infrastructure (ABCI). http://www.itri.aist.go.jp/events/sc2016/pdf/P06-ABCI.pdf, Nevember 2016. 【244】 浜田 健太郎. 産総研、AI特化のスパコン開発に着手　深層学習で世界一狙う. http://jp.reuters.com/article/sansoken-idJPKBN13K0TQ?pageNumber=2, November 2016. 【245】 The Whole Brain Architecture Initiative. http://wba-initiative.org/, August.